These stunning architectural details are made from Stromberg GFRC. 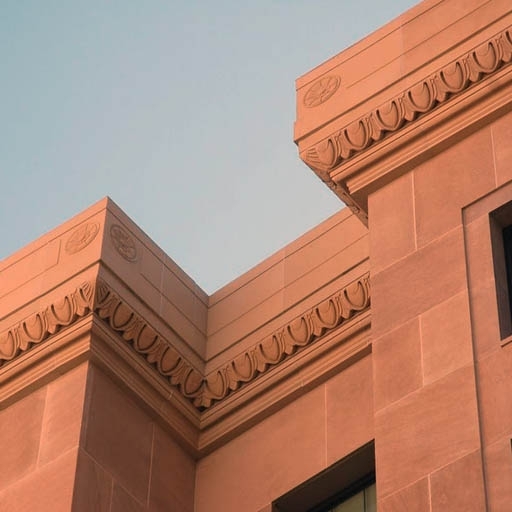 Among the materials used by Stromberg Architectural, glass fiber reinforced stone, or GFRS, is used to create and recreate architectural products. To help you understand how this material can be used in the construction and remodeling industry, here is its history, information on where it can be used, and the advantages of choosing GFRS for your particular project. GFRS was actually created by Lyndon Stromberg, the company’s founder, nearly fifteen years ago after working with cast stone and fiber reinforced materials. This innovative material combines the lightweight properties of GFRP with the look and texture of quarried stone. Now, Stromberg Architectural applies the latest technology and backs its work with extensive lab and field testing to create some elegant and stunning architectural products made from GFRS. It looks like quarried stone but weighs in at a fraction of natural stone slabs. It has a low weight of 3 pounds per square foot, making it fast and easy to install, reducing the amount of structural framing necessary, and reducing the shipping costs, while also providing for a more environmentally-friendly project. GFRS has the same strength to weight ratio as GFRP. GFRS can resist salt water, chemicals, and the environment, including acid rain, salt, and most chemicals. This means it will maintain its beauty for much longer than real stone, saving you the time and money it might have taken to restore it later on. As a highly flexible material, it can be molded into complex shapes and virtually any form. Stromberg GFRS has the same durable qualities as its GFRP product, which has been tested and found to endure a Category 5 hurricane with no damage while nearby structures were destroyed. GFRS offers the beauty of quarried stone without having to pay the same high price. Stromberg Architectural has an in-house design team that works with you to create a design using GFRS, which works with what you envision. Crushed stone, resin, and alkali-resistant glass fibers are mixed together and sprayed into a mold to create the perfect design for your project. If you have a project that could benefit from using glass fiber reinforced stone and you need a free estimate or if you want to learn more about how it can be applied to your project, please use our online contact form or call us at 903-454-0904 and our highly experienced, friendly team will be glad to assist you.